The question you should be asking yourself… | Damian Trasler's Secret Blog - Do Not Read! ← Prices rise and fall…. 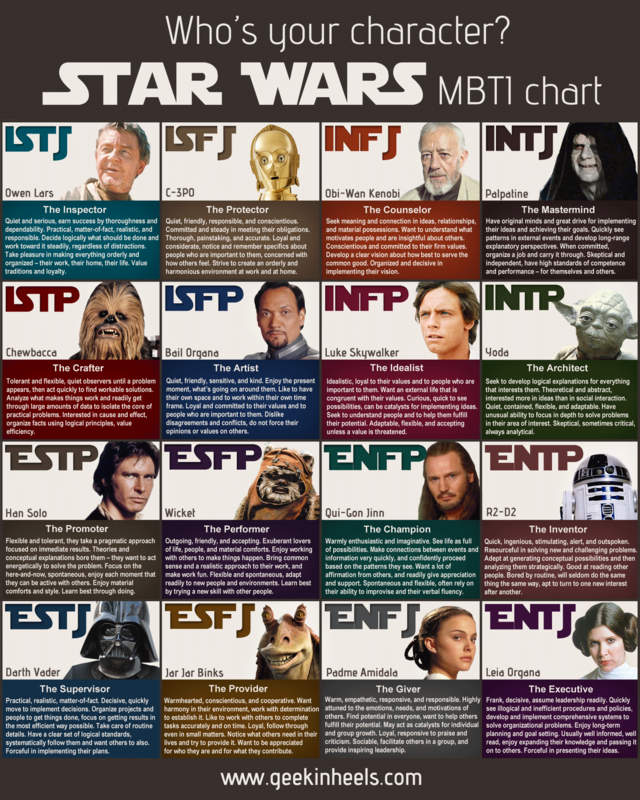 You’ve probably seen the chart above before, or one of the variants, allowing you to nail your personality type (as defined by Myers-Briggs) to some film character or other. This style of thing differs from the inane “Which character from ‘The Walking Dead’ are YOU?” quizzes because it has a purpose. Defining your personality type is supposed to help you get on in life. To understand a little more about why you act the way you do, how you tackle tasks and relationships. As a Dad of three girls, I’ve been around for a few talks about hormones and the chaos they can cause in everyday life. Mrs Dim has explained that hormones can cause people to overreact, to get unaccountably angry or intolerant, but the key is they are not an excuse for bad behaviour. They may be behind it, but knowing the cause means we have the power to change the behaviour, to moderate it, or at least to leave the room before killing someone. The point is, learning what personality type you have is the beginning*. Knowing how you’re wired should help you work out how to get things done sensibly, not be a ticket to avoiding responsibilities. If you don’t deal well in situations that require you to think on your feet, you have to find a job that allows you to plan ahead, not use your ‘diagnosis’ to claim an exemption from those moments. These thoughts are prompted by the run of working with Tiny Weasel as she struggles to keep up with her school work. Lacking focus, she dreams her way through the school day and returns home with a stack of things to finish. Somewhere, there’s a test we can take that will indicate how she could deal with this, and how we can help her. In the meantime, we’re trying patience and persistence. And occasionally, shouting in German. *The geek in my head is giggling uncontrollably and saying in a Nimoy voice “Logic is only the beginning of wisdom, Valeris.” And I didn’t even have to look up that name. I need to get out more. This entry was posted in Emigrating with Weasels, Writing and tagged Myers-Briggs, personality testing, personality type, which character are you, working smarter. Bookmark the permalink.